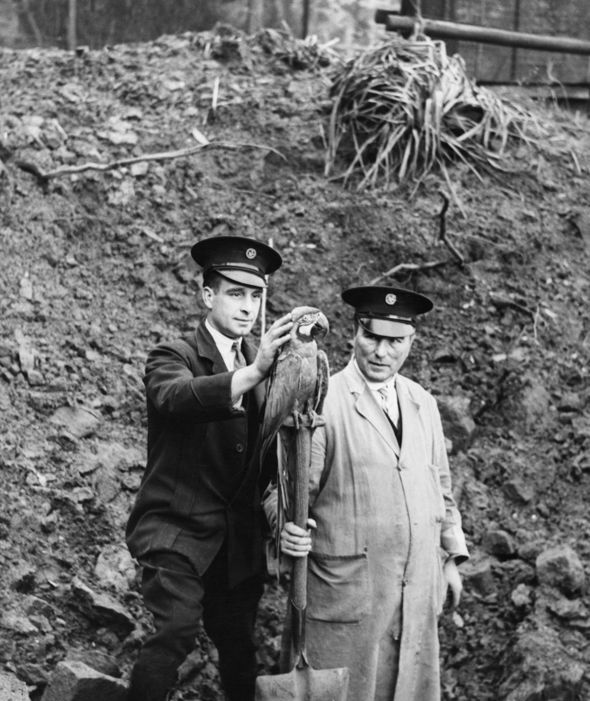 London Zoo, 24 November 1940 (Imperial War Museum via Time out London). Italian/Greek Campaign: The Greek advance continues on 24 November 1940. It is a steady but slow advance through rough territory, made slower by the fact that the Greek troops are on foot. While the Greeks are on the offensive everywhere, the main axis of attack is shifting toward the port of Salona, which appears vulnerable. Greek I Corps, advancing toward Salona, begins moving north into Albania along the Drinos River. The Greek Liuba Detachment captures Smerto and Paravryso in the coastal sector. Greek II Corps advances toward Frashër. Greek III Corps, which is part of Western Macedonia Army Section (TSDM) (Lieutenant-General Pitsikas), continues occupying the Korçë plateau. The Greek 10th Division captures Moscopole (Moschopolis). The Italian Julia Division weathers attacks by Greek 8th Infantry Division in Kakavia Pass. The RAF launches a heavy daylight raid against the key Italian supply port of Durazzo. Italian leader Benito Mussolini is becoming increasingly worried about the situation in Greece. There is little that he can do, however, as his troops simply are not fighting well. He has ordered the Italian Army to re-mobilize troops that were mustered out of the service only a month before. The roof of the old George's brewery building near Bristol Bridge on the morning after the bombing of Bristol on 24 November 1940. 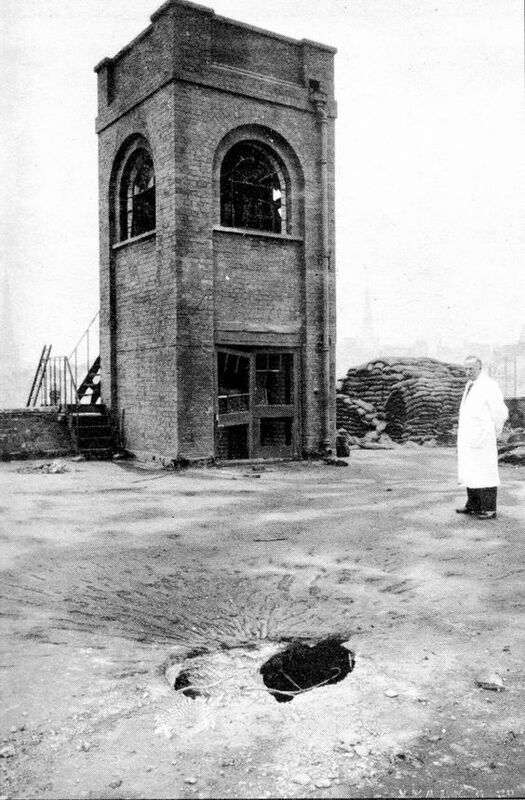 The Managing Director of the brewery, Mr. Hadley, looks at a hole in the roof where a bomb fell through without exploding. European Air Operations: The Luftwaffe is very active from 18:00 to midnight. The main raid is against Bristol and is composed of 130 bombers. Bristol is a favorite Luftwaffe target and easy to find from Cherbourg. The damage to the historic city center (Castle Park) is extensive, with four churches (St Peter’s, St Nicholas, St Mary-le-Port and Temple) and an estimated 10,000 homes damaged or destroyed. The wooden medieval buildings are particularly susceptible to incendiaries. The attackers lose three planes. From the 156 tons of high explosives and 12,500 incendiary bombs dropped, there are an estimated 200 deaths and 689 seriously wounded, with 1400 made homeless. The Lord Mayor of Bristol comments that "The City of Churches had in one night become the city of ruins." Another Luftwaffe target is Bath. The raids today are a preview of a series of Luftwaffe raids against historic English cities derisively nicknamed the "Baedeker Raids" after a famous guidebook series. RAF Bomber Command also is in action. It (2 Group, 101 Squadron) attacks oil installations at Wanne Eickel, losing a plane which crash-lands back at base. In another attack, 42 bombers attack Hamburg, Wilhelmshaven and the Altona gas plant. RAF Coastal Command chips in with raids against Kristiansand, Norway and Hoek van Holland. Another raid sees 8 bombers attack Boulogne. The first Canadian graduates of the British Commonwealth Air Training Plan (BCATP) arrive in Great Britain. 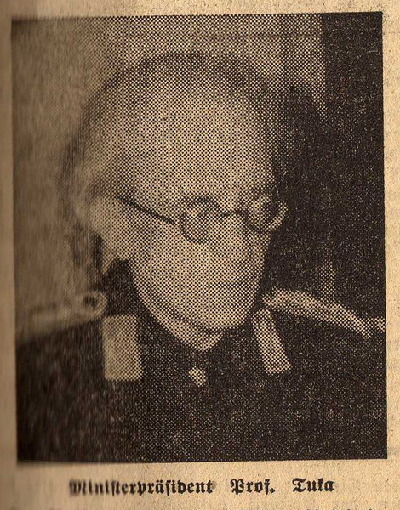 Hauptmann Joachim Helbig, Staffelkapitän of 4./LG 1, receives the Ritterkreuz. The flow of awards in the Luftwaffe has slowed along with the air offensive. Slovakian PM Tuka at the signing ceremony of the Tripartite Pact. Battle of the Atlantic: Today is notable for demonstrating the variety of ways that the Germans can sink British ships. While there are no U-boat successes, the Germans sink or damage ships with mines, Luftwaffe attacks, destroyers shelling ships, and a cruiser on a raiding mission. It is the multiple ways that the Germans have of blockading Great Britain that causes British Prime Minister Winston Churchill so much concern during this period of the war. Convoy SC 11, which lost seven ships totalling 24,601 tons to Joachim Schepke's U-100 on the 23rd, loses another today. British freighter Alma Dawson hits a mine and sinks off the coast of Northern Ireland. Everybody aboard survives, rescued by fellow freighter Spurt. Just after midnight, Kriegsmarine destroyers (Z10 Hans Lody, Z20 Karl Galster and Z4 Richard Beitzen) engage in a sweep off the Lizard (about 12 km south of Wolf Rock, Penzance and Plymouth). They find a group of fishing trawlers and a couple of other ships, attack them, and escape before the Royal Navy can intercept them. German destroyers tend to be over-gunned, which makes them especially fearsome against defenseless fishing boats. Norwegian 4695 ton freighter Fernwood (slightly damaged). The Royal Navy sends five destroyers of its own (HMS Jackal, Javelin, Jersey, Jupiter and Kashmir) that are on patrol off Prawle Point to intercept the German destroyers, but they scramble back to Brest undamaged. This is one of a series of harassing raids by the Kriegsmarine in this area. Night actions like this are always full of confusion, even regarding the outcome to shipping, so accounts vary slightly as to which ships were damaged or sunk. German cruiser Admiral Scheer (Captain Krancke) remains on the loose in the Atlantic, though it hasn't done much after its initial breakout. While cruising off the Azores shortly before noon, it comes upon 7448 ton British freighter Port Hobart, which is sailing for the Panama Canal. Admiral Scheer opens fire from about 3.5 km and shells the Port Hobart, which stops. The entire crew, including one woman, disembarks and becomes POWs before Krancke sinks the ship. British 2206 ton collier Alice Marie hits a mine and sinks in the Thames Estuary. All aboard survive. Royal Navy 627 ton anti-submarine trawler HMT Amethyst (T/Lt Hon. W. K. Rous RNVR, later the 5th Earl of Stradbroke) also hits a mine and sinks in the Thames Estuary. There are seven deaths (accounts vary on casualties). British 6100 ton freighter Behar hits a mine and is damaged off Milford Haven, Pembrokeshire. While everybody survives, the ship is found to be not worth repairing and is written off. In an action that appears to be related to the loss of the Behar, 630 ton British salvage ship Preserver (apt name) hits a mine and sinks off Milford Haven, Pembrokeshire. There are four deaths. Writing off the Behar may be partly due to the danger of retrieving it. Royal Navy 101 ton armed yacht HMY Gael hits a mine and sinks in the Humber Estuary off Spurn Point, Yorkshire. British 367 ton coaster Ryal hits a mine and sinks in the North Sea. There is one survivor and eight deaths. The mines had been laid by German torpedo boats on 29/30 October. British 310 ton coaster Thomas M hits a mine and sinks in the North Sea off Gorleston-on-Sea, Suffolk. There are seven deaths (some accounts place this action on the 23rd, where we have it also). British 3985 ton freighter Alma Dawson hits a British minefield in the North Sea and sinks. Everybody survives. British 590 ton freighter Camroux IV hits a mine and is damaged a couple of kilometers from East Oaze Light Vessel. Convoy OB 249 departs from Liverpool, Convoys FN 341 and FN 342 depart from Southend, Convoy FS 344 departs from Methil. Royal Navy aircraft carrier HMS Formidable (Captain Arthur W. La Touche Bisset) is commissioned. She proceeds to the Clyde for trials. 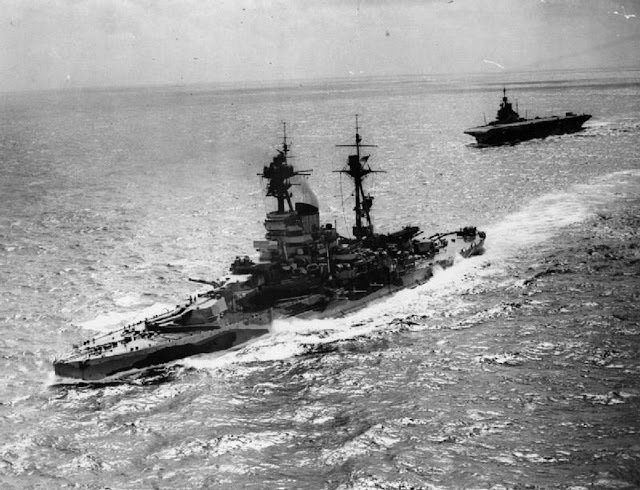 Revenge-class battleship HMS Resolution and Illustrious-class aircraft carrier HMS Formidable. Battle of the Mediterranean: Operation Collar, another supply mission to Malta with subsidiary operations throughout the Mediterranean, proceeds. Convoy ME 4 from Great Britain passes through the Strait of Gibraltar. It includes three merchant ships escorted by three cruisers, and along with supplies they bring 1370 primarily RAF servicemen. Force H from Gibraltar is at sea to support them and provide diversions. The Mediterranean Fleet based at Alexandria is split into Forces C and D. Led by battleships HMS Ramillies and Malaya, they also are at sea, moving west from Suda Bay, Crete, where they have been in port to refuel. Royal Navy aircraft carrier HMS Eagle sends a raid against Tripoli Harbor, Libya after dark. The raids continue past dawn. The British claim that, in the continuing battle around the Abyssinian/Sudanese border near Gallabat, the Italians have withdrawn from border town Metemma, Abyssinia. There is another air raid alert on Malta as the air war heats up again. Shortly after 15:00, a half dozen Italian CR 42 fighters carry out a low-level strafing attack on Luqa airfield. They destroy a Wellington bomber and damage two others. One of the attackers is damaged by antiaircraft fire. The Times of Malta inadvertently arouses the ire of local authorities by publishing a story which describes the civilian population as fearlessly watching each day's air battle overhead. The government notes that about 70% of the civilian population is not bothering to seek shelter. It sends letters to both the local Inspector of Police and the Times urging them to encourage more people to seek shelter. 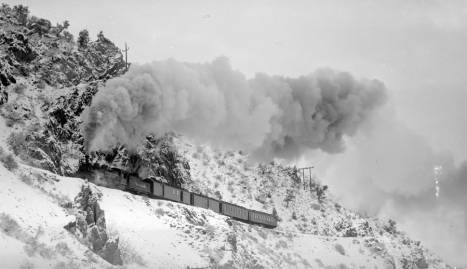 The Shavano, a train from Salida to Gunnison, above Poncha Junction, Colorado on the morning of 24 November 1940. Otto Perry photo from DPL OP-8483. Battle of the Indian Ocean: The Kriegsmarine orders German raider Pinguin to take refuge in the Antarctic, where it is summertime. The Australian Navy has a cruiser out looking for it, though it is unclear if the Germans know this. Slovakian/German/Italian/Japanese/Hungarian/Romanian Relations: The Slovak Republic (Slovakia) adds its name to the Tripartite Pact (original members signed on 27 September 1940), making six members in all now. Slovakia, of course, is the breakaway province of Czechoslovakia, which subsequently was absorbed by Germany to become the provinces of Bohemia and Moravia. President Josef Tiso and Prime Minister Vojtech Tuka have an army of three infantry divisions which participated in the conquest of Poland and which may come in handy in Operation Barbarossa. Having Slovakia in his pocket also provides a unanimous front against near-term enemies Greece and (possibly) Yugoslavia. 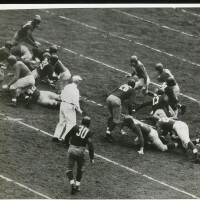 Washington Redskins at New York Giants (November 24, 1940). Soviet/German Relations: Soviet Foreign Minister Molotov prepares a response to the Germans regarding their standing proposal that the Soviet Union join the Tripartite Pact and help create a New World Order. I am obliged officially to maintain the balance between both sides, but you know where my sympathies lie. Petain comments that he is engaging in only "passive" collaboration. To him, this appears to encompass all assistance to Nazi Germany short of an actual declaration of war against Great Britain. British Military: Air Vice Marshal Sir Arthur Harris, commander of RAF No. 5 Group, becomes Deputy Chief of the Air Staff. Harris is more familiarly known as "Bomber Harris." British Government: Lord Craigavon (James Craig) passes away. He is succeeded as Prime Minister of Northern Ireland by J.M. Andrews. Carnavon was known for fierce measures against suspected terrorists, including new laws which included the lash for those found carrying guns or bombs. British Homefront: The British Treasury cancels the closure of banks on Boxing Day (26 December). 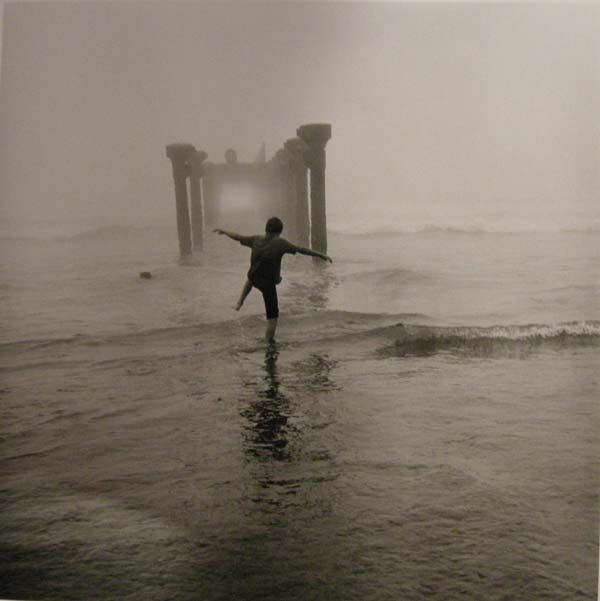 Future History: Photographer Arthur Tress is born in Brooklyn, New York. He becomes famous for surrealistic and otherworldly photographs.